Courtney is an LA Comic by way of Austin and Chicago. She is a regularly booked comedy host at comedy clubs throughout Texas and Illinois. 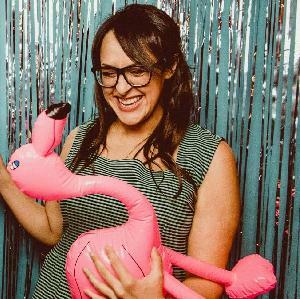 She has opened for Maria Bamford at the Aztec Auditorium theatre and advanced in the Funniest Person in Austin Contest.